Philips has a line of popular electric cordless shavers, and is one of the leading manufacturers of lighting, and healthcare equipment around the world. This Dutch company was originally created in Eindhoven in 1891, by Gerard Philips and Frederik Philips. Today, their headquarters are located in Amsterdam, Netherlands. Their company slogan is “Innovation and You”. Their electric shaver brand evolved into cordless shavers that are rechargeable, as well as SmartClean systems that make cleaning up easier. Philips has the distinction of being one of the largest electronics manufacturers around the world today. Worldwide, over 105,000 people are employed by Philips. 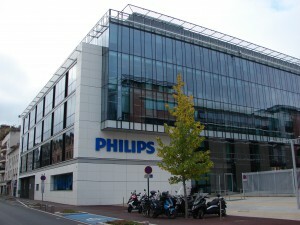 Philips was created by the father and son team of Frederik and Gerard Philips. Gerard was a banker and financed the creation of the factory in Eindhoven. They first started producing carbon-filament lamps, and electro-tech products in 1892. They had a difficult start, reaching near-bankruptcy, so another son Anton, was brought in. He had a degree in engineering. He was able to work in sales and contribute business ideas. 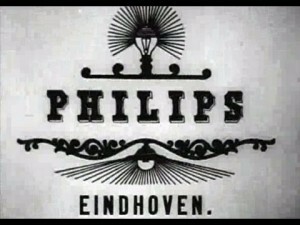 By 1907, the company was doing well, and expanded into lighting, with a new factory in Eindhoven. They were able to found the Philips Corporation. In the 1920s, they started manufacturing other products, including the vacuum tube. In the 30s, they made the attractive radio Chapel. By 1939, they introduced the Philishave, their first electric razor. In the USA, this brand was marketed as the Norelco. Philips used the Philishave brand name for their electric shavers from 1939 to 2006. The Philishave is a rotary style shaver with rotating cutters. It was invented by Alexandre Horowitz. Its initial production was limited in 1939, due to the advent of WWII. On May 9, 1940, the Philips family learned that the Netherlands were to be invaded by Germans the very next day. Fortunately, they had made their plans in advance. The company was moved to the USA. Many family members made the move, and they managed to bring most of the capital with them. The capital was hidden from the USA government, and reestablished in Netherlands banks that were hidden from the Nazis. There were also some secret manufacturing facilities that were hidden from the Germans, as they had control of most of the factory. They operated the company as “The North American Philips Company”, and managed to make consumer goods throughout the war. Frits stayed in the Netherlands and continued running the company. He saved the lives of over 382 Jewish people, by convincing the Nazis that their work was essential in the factory. He won the “Righteous Among the Nations” award in 1995. After the war, the company moved back to the Netherlands. Today the company is split into three different divisions. One is for consumer goods, one for lighting, and the other for health and medical systems. In 2012 Philips was the largest lighting manufacturer in the world. In 2013, the consumer electronics division was supposed to be sold to Funai in Japan, but the deal fell through, resulting in a law suit. 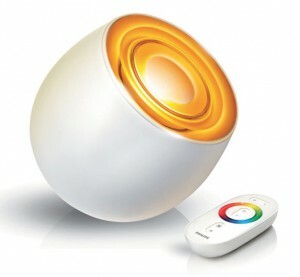 Philips is a public company listed on the Euronext Amsterdam and New York Stock Exchanges. Today Philips has headquarters located in Canada, USA, Mexico, Australia, New Zealand, and Brazil. Today, the two main production centers for producing Philips shavers are located in Drachten, Netherlands, and Zhuhai, China. Besides personal shavers, lighting, and medical products, they have a line of small appliances, and televisions, and other home electronics. 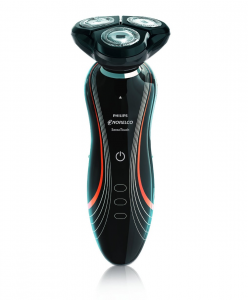 The Philips Norelco is a brand of shaver made for the American market. It features a rotary-style shaver that differs from the traditional foil head. 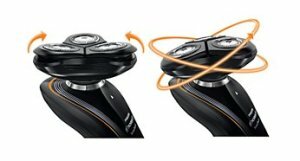 The Shaver 9700 moves in eight different directions, more than any other leading brand. 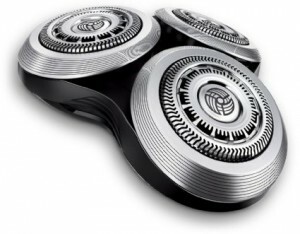 The main head is made up of three different rotary shavers. This flexibility is enough to trim up to 20% more hair than any other shaver brand, and will cut all hairs up to 30% closer than others. You’ll get a close but comfortable shave, without worries about your skin being tugged, or pulled, or looking red afterwards. The 9000 series of Philips shavers won the 2015 iF Design Awards for outstanding design. The Philips Shaver 9700 can be used wet or dry. You can use it over the sink, or take it into the shower to expedite getting ready in the morning. It’s completely resistant to water, so you won’t have to worry about wrecking your shaver. This Philips shaver contains special V track blades that will snip off most hairs in one sweep. The Contour Detect Technology will also work with all shapes and sizes of facial skin, easily working below jawline and under the chin. Each of the three shaving heads will move independently of each other. This shaver has customizable settings. Choose the speed setting that works best for your skin, and your type of facial hair. Choices you can choose from include a slow shave, which is skin-friendly, a medium shave to have a more thorough shave done, or fast, which gives a high-powered shave for when you need to get ready quickly in the morning. There is a digital LED readout on the front of the shaver. This is intuitive and lights up when you pick up your shaver. It will display battery level, cleaning status, low battery level warning, replacement head indicator, and shaver lock status. The Philips Norelco S9721/87, Shaver 9700 comes with a Smart Clean system that will clean, lubricate, dry, and charge up your shaver. The Philips Shaver 9700 premium shaver include the cordless shaver and the Smart Clean system in its price. It requires one lithium ion battery, to make it fully rechargeable. Inside the box you’ll receive one shaver, the SmartClean pro system, one cleaning cartridge to get you started, a SmartClick precision trimmer, power cord, and travel case. 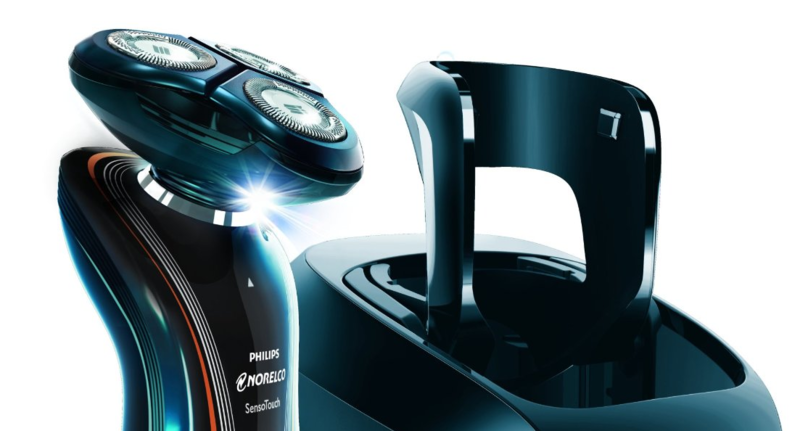 The Philips Norelco SensoTouch Shaver 6600 is a more affordable version of the Philips rotary-style line of cordless shavers. The 6600 features a sleek black finish with red highlights, and includes a Jet Clean system. The Philips 6600 is built with two dimensional contouring. Inside the main head are three rotary style heads. Each one has a smooth flat surface with rounded edges, to not only provide comfort while shaving, but to give an extra close shave. There will be a reduction in irritation, lessening skin redness. It’s designed for a soft, smooth shave. This shaver is perfect for cordless convenience and can be used at home, for travel, or in the office. There is a two level battery display, so that you will know when the battery is full, or whether you need to charge it up again. A patented Super Lift&Cut dual blade system gently lifts hairs up, while cutting below skin level. The low friction skin glide shaving surface will smoothy glide along the skin, easing discomfort. Skin Glide and Gyroflex 2D technology work at grasping all hairs within reach. It moves around and tilts and pivots, to move with the contours of your face. This shaver it perfect to be used wet or dry. Used dry, it’ll still provide an effective means to shave the face clean and smooth, but when used wet, you’ll receive the ultimate shaving experience. The addition of shaving foam, gel, or cream will get your shaver even closer to those finicky hairs on the surface of the skin. The Aquatec seal prevents water or lotions from getting inside the shaving unit. There is a collection chamber for the hairs inside the shaver, so you won’t be getting tiny hairs all over your bathroom sink. The Philips Norelco Shaver 6600 can be charged to last for 50 minutes, or about seventeen shaves, more than enough to last for over two weeks’ time. It’s perfect for bringing on trips, and can be charged up in advance so you don’t have to bring the charger or the Jet Clean system with you. It takes about one hour to charge up fully. There is also a three minute quick charge option, for those who forget to charge up their shaver the day before. In only three minutes, the shaver can be charged up to last for one shave. This shaver comes with its own Jet Clean system. The shaver can be placed in the unit and it will be cleaned, lubricated, and charged up, all with the press of a button. This shaver also has a pop trimmer that can be used for precision trimming of the mustache, sideburns, and beard. 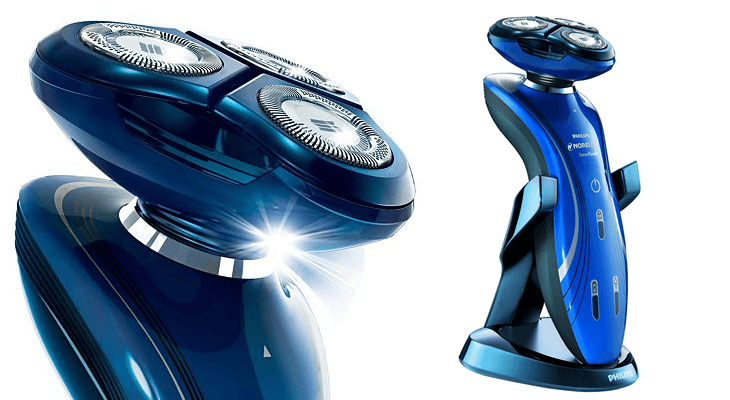 The Philips Norelco SensoTouch Shaver 6600 is an affordable choice for when you want the Philips brand, but can’t afford their more premium option. The Philips Norelco SensoTouch Shaver 6600 comes in box with the shaver, the Jet Clean system, pop-up trimmer, travel pouch, and protective cap. It’s protected by a two year warranty. If you love the Philips Norelco brand, but don’t have a lot of cash for this great shaver, the Philips Norelco Shaver 6100 is the perfect option for you. It comes in the sleek black and dark blue finish that the Norelco brand is famous for, and has a rotary-style head. This budget shaver does not come with a Smart Clean or Jet Clean system. This shaver is still built with the GyroFlex 2D technology, to handle the contours of any face. The head is able to pivot in a circular motion, and tilt inwards. This contouring system can adjust to any curve, slight or large, on the surface of the skin, to reduce pressure, and irritation. You’ll still receive a close clean shave that glides over the skin. Its dual precision heads will shave the shortest hairs from the face, eliminating multiple passes that may irritate the skin. These dual precision heads have slots that shave off the normal hairs, and holes to shave off stubble. The Lift and Cut dual blade system will lift hairs from below skin level. A low friction SkinGlide blade will decrease friction, while the blades move smoothly against your skin. Your skin will be left soft without irritation or redness. The Philips Norelco Shaver 6100 can be used wet or dry. It has an Aquatec seal that keeps moisture or water from getting inside the shaver. You can also use it in the shower, and not have to worry about it. Shaving gels, foams, lotions, and creams all work well with this electric shaver. If you choose to use your shaver dry, it will still give you the best and smoothest shave. The handle on this shaver has a non-slip grip, so you won’t be accidentally dropping your shaver in the sink or shower. The Shaver 6100 only takes one hour of charging, and this will last you for forty minutes of shaving time. There is also a three minute quick charge option for when you’re rushed, and don’t have time for it to fully charge up. There is also a trimmer with the Philips Norelco Shaver 6100. It’s perfect for sideburns, mustache, or beard. This shaver will work well for travel. It’s cordless, with a rechargeable lithium ion battery. Simply charge it up in advance, and leave the chargers at home, to save room in your luggage. The worldwide voltage adjusts from 100 volts to 240 volts AC. A two level battery display will inform you when you need to recharge your shaver, and let you know approximately how much power is left. Inside the box you’ll find the Shaver 6100, a charging stand and power cord, the click on precision trimmer head to trim beard, mustache, and sideburns, a protective cap, and cleaning brush. This shaver is also backed by a two year warranty.